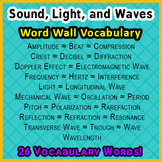 Sound Light Waves Physics WORD WALL Vocabulary 26 Words! 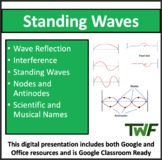 The main focus of the lesson is to introduce students to standing waves. It begins by. 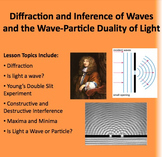 It first reviews what we've already covered so far regarding waves including reflection as well as constructive and destructive interference. The lesson then moves into nodes and antinodes as well as harmonics. 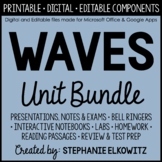 This PowerPoint includes introductory notes on waves; types of waves, structure of waves, properties of waves, and interaction of waves are included. Plenty of diagrams and an embedded video. 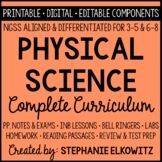 Word Search covering the terminology that will be introduced when discussing Vibrations and Waves with Physics or Physical Science students. There are 48 words total. This resource pack contains worksheets, notes graphics and examples that could be used to teach introductory waves in a physics course. 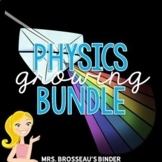 Topics include: doppler effect, resonance, refraction, diffraction lenses and mirrors, and photometry. Word Search covering the terminology that will be introduced when discussing Electromagnetic Waves with Physics or Physical Science students. There are 12 words total. 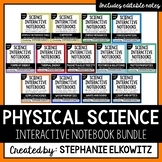 This is a short lesson plan and a PowerPoint that covers the theory and mathematics of combining Sine Waves in Physics to link Simple Harmonic Motion to Circular Motion.This is a free lesson and the third of six lessons in the "Advanced Waves" chapter that is available as a bundle at a discount.